Well, today a new chapter in my life begins. I’m starting a new job after being home full-time with my boys for almost two and a half years. It’s a big day for me and I’m excited and a little nervous. Being home has been wonderful and I have enjoyed every second of the time with my children. Having the time to be able to focus on healing my body and soul has been priceless. With help from God, a few good friends and loved-ones, I have come a long way. Working on this website has been a creative outlet for me and I have enjoyed all the comments and emails I have received over the months. But, with new found health and vitality, the time has come to take on a new challenge. While I will definitely be busier than ever I fully intend to keep posting here. In fact, I am quite sure I will need to come up with strategies for managing our paleo diet while working a very intense schedule. When I was preparing for my busy week ahead I decided to make some paleo banana bread to store away for breakfasts for at least a couple of days. We usually eat meatier fare in the mornings and I have had the luxury of time to devote to kitchen clean-up. Now, not so much! The addition of cardamom came about mainly because I wanted to make something a bit different from the standard banana bread flavor. But the motivation to use this particular spice was the result of my own disorganization when it comes to grocery shopping. I was recently making a recipe that called for cardamom as one of about a zillion ingredients. When I was in the grocery store I could not for the life of me remember whether or not I had ground cardamom. So, of course, I bought a big jar of it. Come to find out, I already had two other jars! So I tried desperately to figure out what flavors go with cardamom. This spice has a strong, unique taste, with an intensely aromatic, resinous fragrance. In addition to being used in Indian cooking, cardamom is used in baking in many Nordic countries. Once I heard this news it occurred to me that it might compliment the flavor of banana – and I was right. Whew! That’s a relief. Something to do with the cardamom now. When using almond flour I almost always add some coconut flour. Almond flour seems too wet and the addition of coconut dries it out a bit. The combination of the two seems to hit the “sweet spot” in grain-free baking. I had to make this a few times to come up with the right ratio as well as the best sized pan and oven temperature. 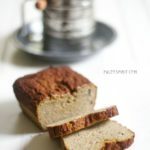 The recipe for paleo banana cardamom bread you will find below is moist and aromatic – perfect with a cup of coffee in the morning or tea in the afternoon. Grease one loaf pan (8.5 x 4.5). Combine/sift dry ingredients in a medium bowl. Combine wet ingredients in a large bowl and whisk together (or use a stand mixer). Pour dry ingredients into wet ingredients and mix until fully incorporated. into loaf pans and smooth the tops. Remove banana bread loaf from oven, let it cool in the pan for a few minutes and then transfer to a wire rack to continue cooling. 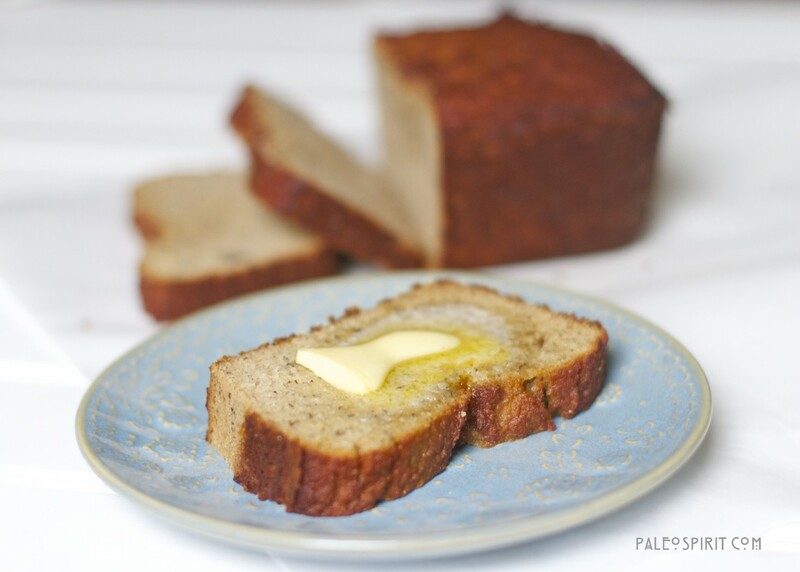 We eat our paleo banana cardamom bread with pastured butter. Yum. Our whole family enjoyed it. I hope yours does too. Thanks for stopping by. 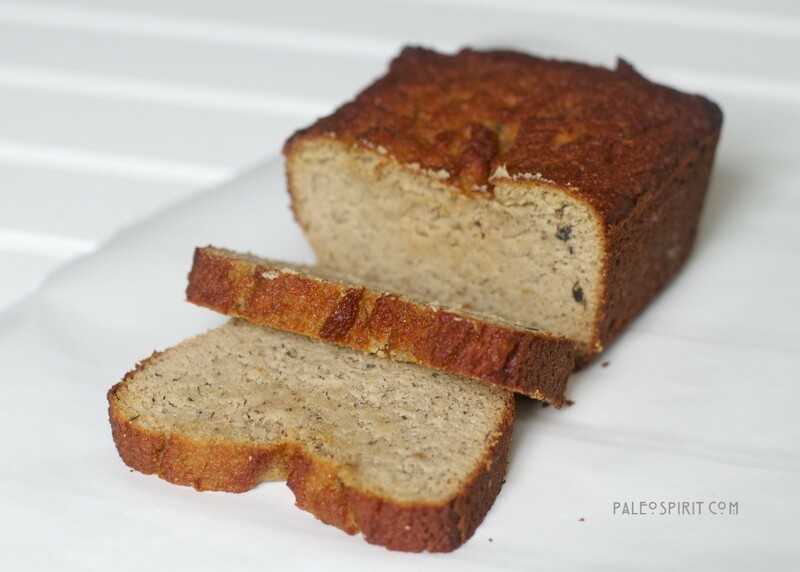 Leave me a comment and let me know how it turns out if you decide to try the paleo banana bread. Have a great week and wish me luck (maybe say a little prayer too). * I tried cooking this banana bread at a temperature of 350 degrees F for 45 minutes but it seemed to brown too quickly while leaving part of the center under-done. 325 F for a somewhat longer time worked much better for me. Keep in mind I used a glass baking dish and different types of pans may produce somewhat different results. 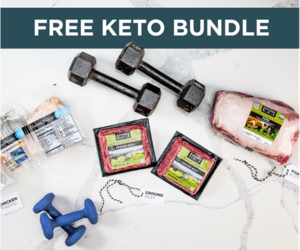 If you would like to subscribe to Paleo Spirit via email just enter your address below. Be sure to check your spam folder if you don’t see the confirmation right away. Thanks! 45 Responses to "Paleo Banana Cardamom Bread"
Good luck to you on your new job. I’m deciding if that move is the one for me as well. I think I’ll just make this bread today! It sounds so comforting and delicious that it will make everything in life easy. Congratulations on your new job, and good luck with the transition to a new routine! This recipe sounds fabulous,I love cardamom in baked goods. I’ll definitely try it asap. Congratulations on your new adventure. I will be praying for your continued health and wellness. Please know that you are inspiring. I started Paleo eight months ago for some personal debilitating concerns and it has turned my health around. You have helped me so much, through your blog, and I am grateful. Thanks for the recipe-I’m preheated the oven right now!! Best wishes and God bless. I was so happy to find you and your blog! Best of luck with the new and endeavor and I look forward to following along 🙂 I have been plant-based for years, but the Paleo and Traditional Food lifestyles interest me. I haven’t taken the plunge yet, but I will sure to shout you out when I do 🙂 All the best! Tomorrow is my birthday and I was moping thinking I didn’t have much really yummy to eat. I LOVE banana bread, I am making this for my day! Thank you! Definitely going to try this. Thank you. I use cardamom in carrot muffins and it’s so good. Best of luck in your new, bittersweet endeavor. Sounds like a great recipe- I love banana bread and Love cardamom! Always looking for recipes like these! AWESOME!!! I was a little nervous about the Cardamom, but it tastes perfect and is a great recipe. I baked it for 46 min then turned it down to 325 for 10 minutes. Outside was getting a little dark, but center was still a little soft. 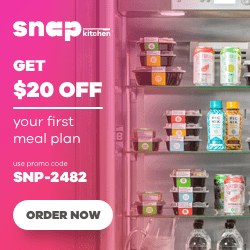 Try it today!! I have not tried it with coconut flour but that is on my list of recipes I would like to make. Coconut flour needs lots of moisture so eggs are often added for that purpose. My kids don’t like bananas but they do like banana bread so I’m motivated to find one they can both eat. I made this the other day and am making it again today- absolutely the best Paleo banana bread- HANDS DOWN! I’ve never used cardamom, so that little gem is a true gift! This bread was awesomely delicious! I love the cardamom. I’m going to have to make it a few more times to get the ratio down. Thanks for sharing!! Thanks Amber. I’m so glad you liked it! BEST bannana bread I have ever made! I made two loaves because I had a whole bunch of bannanas starting to brown (2 1/2) per loaf , one with walnuts one without. Did not have cardamom, us fresh ground cinnamon and nutmeg. I can’t wait to try it with the cardamom- I will be making this again. Thanks for sharing! I’ll be trying some of these recipes because they look delicious. I’d also like to pass them on to a friend who has celiac disease, but she is also deathly allergic to all dairy and tropical oils–no coconut flour or coconut oil or butter/ghee. Could this recipe be made without the coconut flour? Well, of course, I guess she could try it and see how it turns out, but I thought I’d ask first as you might already have tried it. 🙂 She would probably also add olive oil, which would change the flavor, but she just couldn’t have the coconut oil or butter. Thanks for the Facebook follow. I add the coconut flour to dry up the almond flour a bit. I find that without it the result is too wet. If you or your friend make it without the coconut flour the recipe might need to be altered to use less liquid. I can’t vouch for that since I’ve never tried it. If you use olive oil I would suggest the “light” version so there’s not so much of an olive oil flavor. Good luck! Yummy looks absolutely delicious. Lovely and moist. I can almost smell the cardamom. I have made this twice this month and my husband and daughter are requesting it again! This banana bread is better than my non-paleo version that I’ve made for years! I love it. Thanks for sharing. I have made this recipe several times at home and it’s been very popular. I made two of them, one was this same recipe without any substitutions/changes, and the other I added dried cranberries and pecans. The family seemed to prefer the one with the nuts and cranberries, so I have stuck with that. I had some french toast in SF a little while ago made with pound cake, so I decided to try that with this paleo bread. I made it for my wife and she LOVED IT! 🙂 So for now I will keep that in my secret weapon archive. Thanks very much for sharing your recipes with us. I also love the pictures. The banana bread was absolutely delicious! I will make it again and again. I did not blanch the almonds for the flour and it really added to the flavour. Thanks for sharing the recipe. Awesome bread. Only change I make is to add some walnuts. > Pour *dry* ingredients into *dry* ingredients and mix until fully incorporated. Marty, You are the first person to point that out. Thanks! Which brand of almond flour do you use for baking this bread? I use Honeyville Farms blanched almond flour. It seems to give the best results in baked goods. Hi thank you so much for sharing this amazing recipe! I made it today and it was absolutely delicious! I didn’t have a loaf tin so I made them into muffins and they were a real hit with everyone! Thank you! How long did you bake them for? At same temp? It’s a cold winter morning with a fresh coating of snow here in New England (again!). Can’t think of anything better than smelling this wonderful bread in my oven! Have baked this several times and LOVE it with a little clarified butter and raw honey slathered on it! Thank you for another great recipe!! Today will be the fifth time that I have made this bread. 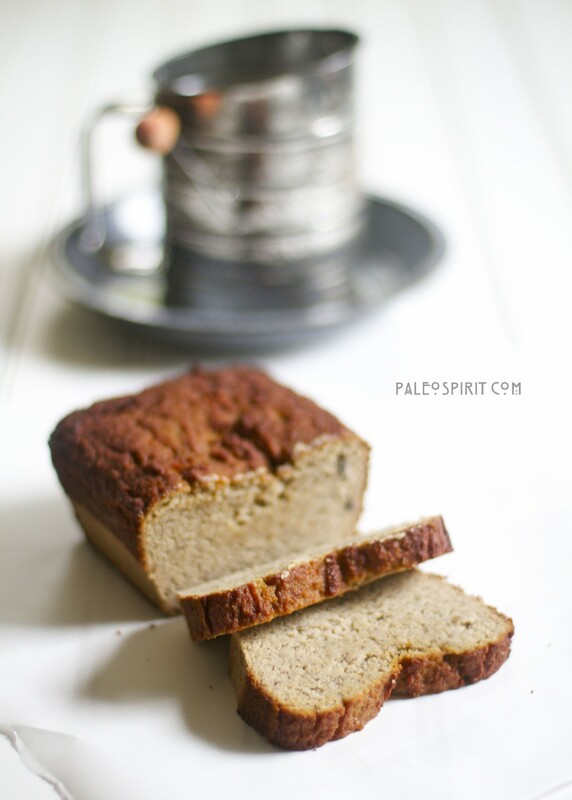 It is my absolute favorite banana bread recipe…..paleo or otherwise. Thank you for the recipe!!! You are welcome, Heidi. I’m glad you like it. 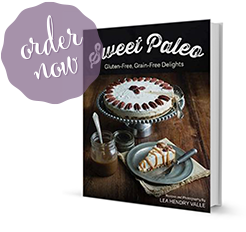 I am putting a version of it in my upcoming cookbook, “Sweet Paleo”. Hi there! I have a question, I follow a low carb high fat diet, and have been trying to find some bread recipes using coconut flour and almond flour. Your recipe sounds delicious, but I can’t have bananas. Do you think I could substitute in zucchini, and still have good results? Thanks! You could try it with zucchini but beware the taste will be quite different. A lot of the sweetness of the bread (it’s not overly sweet) comes from the bananas. The texture would probably also be different. If you can have applesauce that would be my recommendation. I’ll be curious to hear if you try it with zucchini if it turns out okay. Ideas for cardamom: cardamom and rosewater in receipes. In Afghan restaurants I have had a dessert of a custard/pudding with cardamom and rosewater mixed in (sprinkled with chopped pistachios). Also an ice cream with the cardamom and rosewater. Look under Persian receipes. Look also on Foor52.com; they have a number of cardamom receipes. There are savory receipes for cardamom too. What is rosewater? When they steam distill rose petals to make essential oil, the oil goes through the steam which then condenses to become water. The oil is skimmed off the top and the water remains with a lot of rose odor and flavor. On essential oil sites, rosewater is called rose hydrosol. More expensive on oil sites. Try vitacost.com for more affordable rosewater. They also have orange flower water and lavender water. I came across this recipe about a year ago and have made it a good number of times since. I just wanted to let you know how amazing it tastes every single time! It really is one of our family’s absolute favorites! PS I leave out the maple syrup and it still turns out wonderfully sweet and moist. Oh, and it freezes perfectly. I love this recipe! I have tried making a few things from your book, and this one turned out the best so far. The cardamom is such a strong powerful flavor, it really turns the banana bread into a perfect breakfast and dessert (with a dollop of whipped cream). I have been making this for years. It’s my favourite Paleo recipe of all time. I have altered a few things over time – no maple syrup, 2 eggs, 1/2tsp baking soda and 2tsp cinnamon. I’ve even put chopped pear in it before, that was delicious. Thank you for the 30 or so amazing banana breads. Oh and the otther thing i use a mini loaf tin so the slices are higher. Thanks for the nice compliments, Bec. I appreciate your taking the time to let me know how much you like the recipe. Made my day! Also, I’ve started using a 3.5 by 7.5 loaf pan for this bread. I even put this recipe in my cookbook “Sweet Paleo” (made some tweaks so there are gram measurements for the flour) and specified that type of pan. You’re right, it does work much better that way. My very best to you, Lea! I wish you much luck and happiness in your new job for as many years as you would like. I thank you so much for your Paleo recipes! Our daughter, JoAnn was also a stay-at-home Mom until her two children got to high school. she is so grateful for that! So was my husband and I! We got to see our granddaughter and Grandson every two weeks! That was AWESOME!!! She has been promoted so many times in her job at Pepsi . they are very good to her and she absolutely loves her job with so many awesome benefits. Their two children are now in College (Sophomore an Senior ) Again, good luck in your job and the very best to you. Thank you again for your delicious Paleo recipes. I’m so anxious to try the banana cardamon bread! I bought the Cardamom from the Thrive Market and now I just couldn’t remember for what to use it!